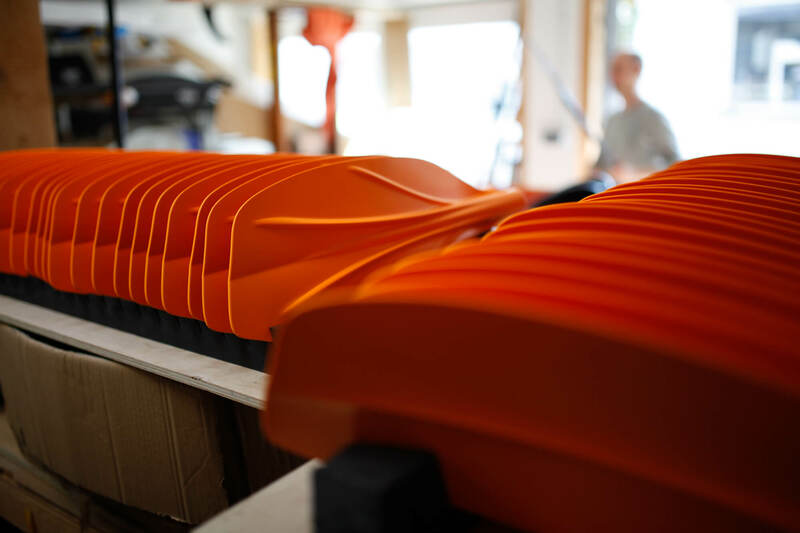 The paddle blades are manufactured in Germany in our own injection moulds by our suppliers according to our material specifications. The paddle shafts are manufactured by a tube manufacturer specializing in carbon and glass prepreg technology, also in Germany. The cooperation with our suppliers has proven itself for more than 15 years. The blanks are cut in Bamberg on a CNC milling machine. All subsequent assembly work up to dispatch and the development of new products take place in our workshop. Therefore it is well possible to respond to special requests. It is no problem to build left turned paddles, and also with the setting and the length of the paddle your wishes can be considered. Usually we build the paddles with 30 or 45 degrees setting, but we can also glue other angles in steps of 15 degrees. Excess lengths can be produced, but these special requests must always be requested separately.